As a company that provides design-build in Kansas City, we are in the business of making your business better. One of the most important pieces of this equation is the finish plan which includes paint colors, types of flooring and technology. We typically think of computer infrastructure and audio-visual systems when discussing office technology. One major area that is typically neglected is appliances. Only a select few Kansas City construction companies provide design-build services. Of those select few, a small percentage provide high-tech solutions for appliances. A Class A office space deserves cutting edge finishes and state-of-the-art technology, primarily to attract high-end clients, recruit and retain top-level employees. 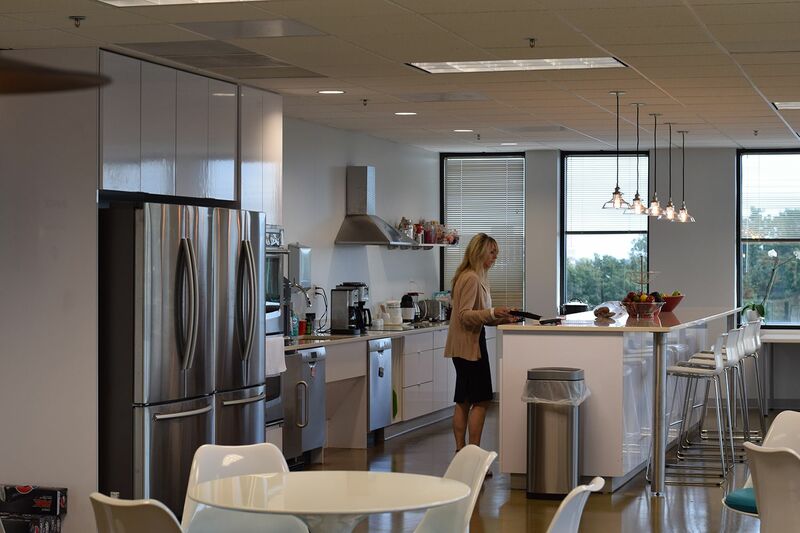 Some may feel modern, technologically advanced appliances are a bit over-the-top and considered a perk of working in a Class A office environment. However, consider how much money is spent on upgraded flooring, counter tops, lighting and plumbing fixtures. It makes good business sense to invest in high-tech appliances for your commercial office space. High-quality finishes should be accompanied with state-of-the-art appliances in your work space to demonstrate your commitment to the well-being and enjoyment of employees and clients. Check to see if high-tech solutions for appliances are provided when choosing a contractor that specializes in design-build (http://constructiondesignworks.net/design-build-2/) in Kansas City. Construction DesignWorks uses its hands-on approach and design and construction expertise to create and develop a winning design-build (http://constructiondesignworks.net/design-build-2/) team that is specialized for each customer. Their complete turnkey building solutions align with the unique business needs of various types of real estate. Construction DesignWorks, LLC is located at 6657 Woodland Drive in Shawnee, Kansas. If you are looking at business remodeling contractors or for more information about interior design-build, call (913) 745-4727 or visit their website http://constructiondesignworks.net. View original article on design-build in Kansas City (http://constructiondesignworks.net/4-high-tech-appliances-for-design-build-in-kansas-city/) here.